Castle Point Landscape Design’s expert NJ lawn care crews ensures that your lawn looks lush, season after season. From basic weed control and fertilization to total yard care, we have a service or plan for every property. You see, a healthy lawn requires much more than mowing and watering. To keep your property looking vibrant season after season, our professionals use their knowledge and expertise to carry out proper maintenance techniques, while considering plant growth patterns, climate and light conditions, soil types and more. We utilize only the very best materials and our lawn care services are sure to help you achieve a lawn you’ll love. Every homeowner faces the same question in relation to his or her property: Would you benefit more by tackling your own lawn care or by hiring a professional landscaping company? The truth is there are a number of advantages to hiring a company versus doing it yourself. Saves You Time. By putting your lawn in the hands of a trusted expert, you won’t have to take time out of your busy schedule to get the job done. Knowledge & Expertise. When homeowners venture into the world of DIY lawn care, they are often surprised to learn how delicate and temperamental their grass can be. The fact is that lawn maintenance requires specialized knowledge and experience. A professional has the know-how to properly fertilize, seed, water and trim your grass, and to keep it looking lush year-round. Regional Differences. A local lawn care company will know how to take care of grass in your region and particular climate. Additionally, they will know how to maintain the specific type of grass growing in your yard. Professional Equipment. In order to maintain a perfectly manicured lawn, you’ll need to purchase a lawn mower, edger, leaf blower and aerator, as well as the equipment needed to fertilize your lawn. Hiring a professional will save you from having to deal with purchasing and storing these items, while guaranteeing that they are used properly. 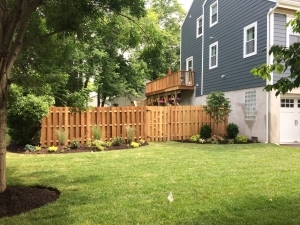 Even more, we proudly offer a year-round customized lawn solution program. Once our experts perform a thorough analysis of your property, they will design a tailored approach to give your lawn exactly what it needs at exactly the right time. You deserve quality lawn care for your money and this is what we provide at Castle Point Landscape Design. Our team is dedicated to the job and we care about our clients’ homes as if they were our own. As an expert lawn care service, Castle Point Landscape Design’s team can remove the guesswork and get your lawn on the right path, right away. That’s because our specialists have the training and expertise to recognize your lawn’s specific needs and then make custom recommendations to ensure that your lawn gets exactly what it needs, exactly when it’s needed. Your source for tips, tricks, news and more.